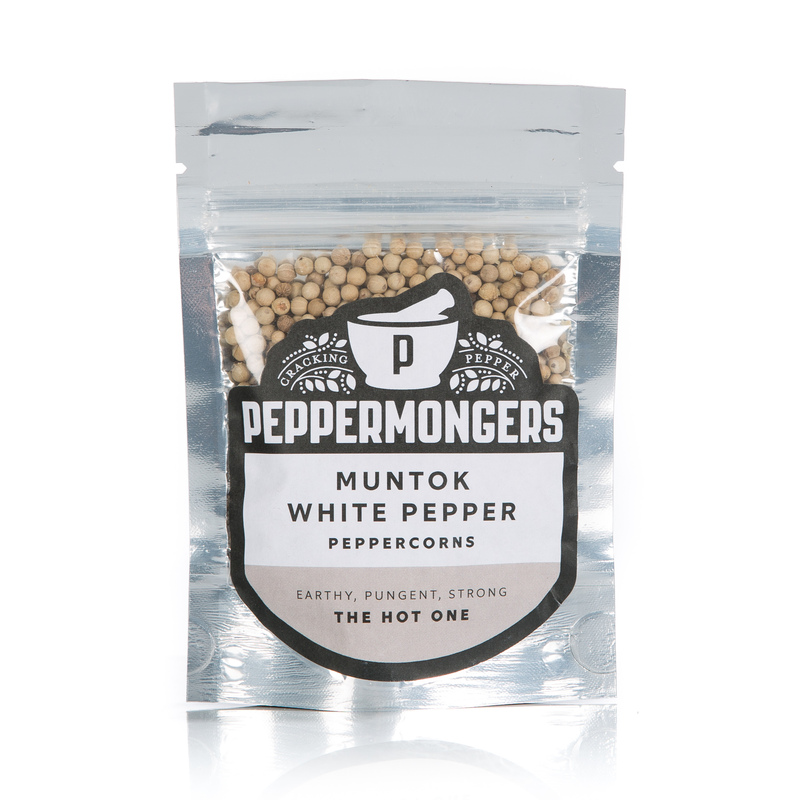 Black peppercorns are soaked and washed to remove the dark husks then sun-dried leaving a white pungent piperine laden inner core. Clean slightly musky with a warm biting heat. Perfect for bechamels, mash, scrambled eggs and Chinese cookery.